SBI Rewardz is a way of adding value to the banking experience of our customers. An Enterprise-Wide Loyalty Program, SBI Rewardz awards Reward Points to SBI customers for their everyday transactions across multiple banking channels. At SBI Rewardz, we believe that you must be rewarded whenever you use SBI products or services. SBI Rewardz aims to reward you in multiple ways to enable you to reach your rewards goal as soon as possible. From shopping with your Debit Card to paying timely EMIs for your loan, you earn Reward Points for a variety of transactions. You can then redeem your accumulated Reward Points to pay for a wide range of redemption options. How do I become a member of SBI Rewardz? All SBI customers are pre-enrolled into SBI Rewardz, on an individual basis. The Reward Points earned through all accounts held by you with SBI will be merged under one Customer ID. 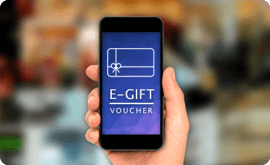 Click on “Register” on www.rewardz.sbi or click on "Sign up" on the SBI Rewardz Mobile App (available on Android and iOS). 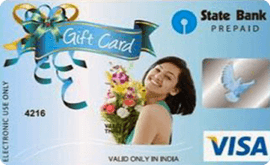 You have now been registered as a member of SBI Rewardz. The enterprise-wide loyalty program rewards you for various transactions across many banking services. Use your SBI Debit Card to make the first purchase within a month of card issuance to earn 50 (100 for contactless cards) bonus Reward points. For the second transaction within the same month of card issuance, you will earn additional 50 Reward Points (100 for contactless cards). For the third transaction within the same month of card issuance, you will earn additional 100 Reward Points (200 for contactless cards). In other words, if you make 3 transactions within a month of getting your debit card, then you earn 200 bonus Reward Points (50 + 50 + 100 Reward Points) for non-contactless cards & 400 bonus Reward Points (100 + 100 + 200 Reward Points) for contactless cards. After the first month of getting your debit card, if you do a minimum of 3 transactions every month using your card, then the Reward Points that you earn for that month will be doubled. 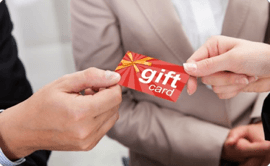 Reward points for any customer in the birthday month will be posted at 2X rate. You can also earn EXTRA Reward Points by using your SBI Debit Card at Max Get More partners. To know more, visit www.maxgetmore.com. How do I know my Reward Point balance? You can check your Reward Point balance anytime, anywhere. Just log in to your SBI Rewardz account on www.rewardz.sbi or on the SBI Rewardz App (Android & iOS). What is the value of 1 Reward Point? 1 Reward Point is equivalent to INR 25 Paise. Thus, 1000 Reward Points get you free shopping worth Rs. 250. For how long do the Reward Points remain valid? The Reward Points remain valid for 36 months since the month of transaction. You can redeem your Reward Points to get FREE gifts, merchandise and services on www.rewardz.sbi or on the SBI Rewardz Mobile App. You can also redeem your Reward Points at Max Get More partners. To know more, visit www.maxgetmore.com. If you have already signed up on SBI Rewardz, simply login to your account and start redeeming your Reward Points!